With an annual worldwide production of about 80 million tons, polyethylene (PE) stands as one of the most common plastics in the world.1 In contrast to other commercial polymers, PE can be produced over a range of densities related to the spacing between the polymer chains.2 For instance, high-density PE (HDPE, 0.941–0.965 g/cm3) mainly contains linear PE chains that can come close to one another, thereby forming very densely packed networks. By contrast, low-density PE (LDPE, 0.910–0.940 g/cm3) includes excessive branching, resulting in a less compact molecular structure. Although linear low-density PE (LLDPE, <0.940 g/cm3) is also formed of a large number of branches, the branches are shorter when compared to those in LDPE. Since the density of PE can be controlled and altered, it offers a vital mechanism for controlling its characteristics to suit different applications. 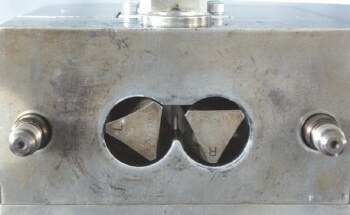 Hence, PE density is an important part of the material characterization and selection process. In order to achieve this, Raman microscopy could be used for in situ density determination of PE layers in multilayer films by exploiting its confocal capability. Raman spectroscopy has been utilized for a long time to analyze the structure of polymers, such as crystal structure, orientation, and molecular conformation.7–9 It can be used in combination with multivariate analyses such as partial least squares (PLS) regression and principal component analysis (PCA) — in which statistically observed spectral variations are correlated with familiar sample characteristics — to predict melting point, density, and crystallinity.7 However, prevalent literature has also been restricted to bulk PE pellets. In an earlier study,10 the scope of the methodology was expanded to include PE films. It has been shown that Raman microscopy, when used in conjunction with a PCA-based discriminant analysis, has the capability to qualitatively differentiate HDPE and LDPE in film as well as pellet forms. This article describes the development of a PLS model to quantitatively ascertain the density of PE layers in single-layer as well as multilayer films with the help of Raman microscopy. The authors acknowledge the support of Wanda Weatherford at Chevron Phillips Chemical Company in providing PE pellet samples and Rajesh Paradkar from Dow Chemical Company in providing PE film samples. 1. Piringer O.G. and Baner A.L., ed. Plastic Packaging: Interactions with Food and Pharmaceuticals. 2nd ed. Weinheim: Wiley-VCH; 2008. 2. Polyethylene, The Essential Chemical Industry—online, http://www.essentialchemicalindustry.org/polymers/polyethene.html, retrieved on 11/27/2017. 3. (a) ISO 1183-1:2012, Plastics—Methods for determining the density of non-cellular plastics − Part 1: Immersion method, liquid pyknometer method and titration method; ANSI New York, NY. (b) ASTM D792-13, Standard test methods for density and specific gravity (relative density) of plastics by displacement; ASTM International, West Conshohocken, PA, 2013. 4. (a) ISO 1183-2:2004, Plastics—Methods for determining the density of non-cellular plastics—Part 2: Density gradient column method. ANSI New York, NY. (b)ASTM D1505-10, Standard test method for density of plastics by the density-gradient technique; ASTM International, West Conshohocken, PA, 2010. 5. ASTM D4883-08, Standard test method for density of polyethylene by the ultrasound technique; ASTM International, West Conshohocken, PA, 2008. 6. Mieth A., Hoekstra E., and Simoneau C. Guidance for the identification of polymers in multilayer films used in food contact materials: User guide of selected practices to determine the nature of layers, EUR 27816 EN, 2016; doi: 10.2788/10593. 7. Sato H., Shimoyama M., Kamiya T., Amari T., Sasic S., Ninomiya T., Siesler H.W., and Ozaki Y. Raman spectra of high-density, low-density, and linear low-density polyethylene pellets and prediction of their physical properties by multivariate data analysis, J. Appl. Polym. Sci., 2002, 86, 443–448. 8. Strobl G.R. and Hagedorn W. Raman spectroscopic method for determining the crystallinity of polyethylene, J. Polym. Sci. B Polym. Phys., 1978, 16, 1181–1193. 9. Williams K.P.J. and Everall, N. J. Use of micro Raman spectroscopy for the quantitative determination of polyethylene density using partial least-squares calibration, J. Raman Spectrosc. 1995, 26, 427–433. 10. 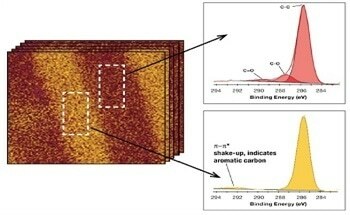 Ibrahim M. and He H. Classification of polyethylene by Raman spectroscopy, Thermo Scientific Application Note AN52301, 2017. 11. 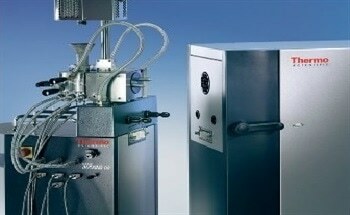 Thermo Scientific Product Overview. TQ Analyst Software Chemometric Algorithms, 2009. 12. Kearney C. J. and Mooney D.J. Macroscale delivery systems for molecular and cellular payloads, Nat. Mater., 2013, 12, 1004–1017. 13. Allen L. V. and Ansel H. C., ed. Ansel’s Pharmaceutical Dosage Forms and Drug Delivery Systems, 10th ed. Lippincott Williams & Wilkins; 2013.